On the 18th June many countries across the globe will be celebrating Father’s Day. Originating from the middle ages, Father’s Day is a celebration of fathers in society, paternal bonds and fatherhood. Why not honour your father this Father’s Day by giving them the gift of luxury from Royal Crown Derby. 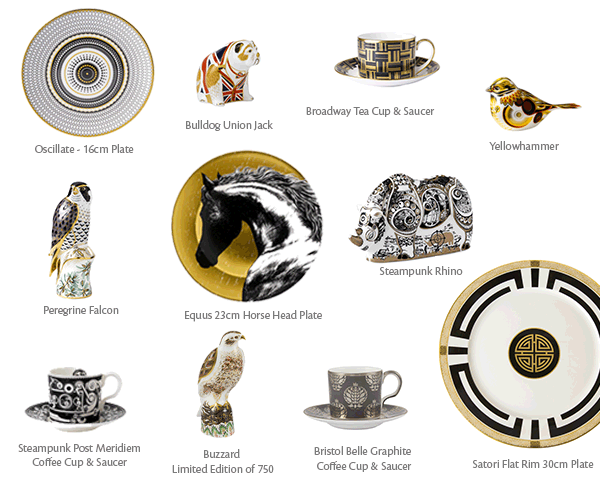 Royal Crown Derby has a wide range of luxury giftware to all any tastes from the mechanically inspired Steampunk tableware to the beautiful range of paperweights featuring majestic birds of prey. Take a look at a special selection of gifts perfect for Father’s Day below. Take a look at Royal Crown Derby’s full selection of giftware and tableware here.